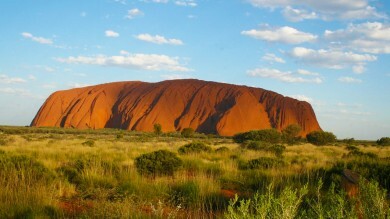 Home › Oceania Tours › Australia Tours › Australia Travel Guide › Accommodation in the Flinders Ranges: Where to Stay? The overwhelming landscape of Flinders Ranges can be explored leisurely on a holiday. The only thing needed is a suitable accommodation to stay in. Known locally as 'the Flinders', the remnants of this ancient mountain range are one of South Australia’s iconic ecosystems. Craggy peaks and towering escarpments thrust up north of Port Augusta and sprawl 400 kilometres north to distant Mt Hopeless. The light illuminating these ranges can bewitch visitors with its alluring colour shifts. Early light sees the Flinders Ranges swathed in delicate mauve shades. By midday, they appear more chocolate until the dying light bathes the peaks in a delicate deep ochre sunset. Exploring the Flinders Ranges is to step back to an ancient time husbanded by the wandering Adnyamathanha people who cherished the Flinders for their rich red ochre deposits. 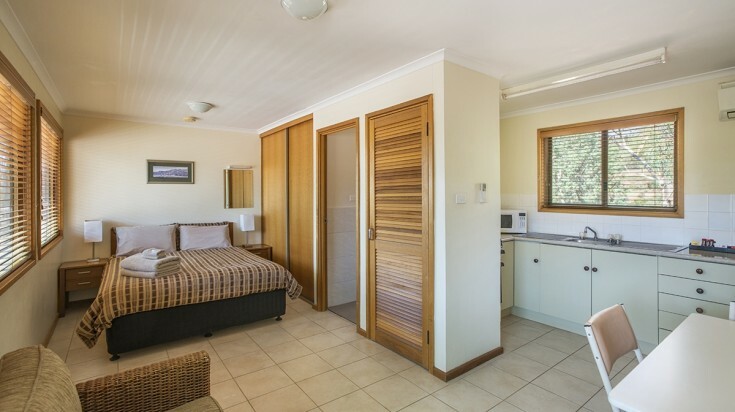 Here are our suggestions on accommodation in the Flinders Ranges. We’ve found you some delightful places to stay in the Flinders Ranges from an indulgent luxury homestead experience through to iconic Flinders Ranges camping spots. 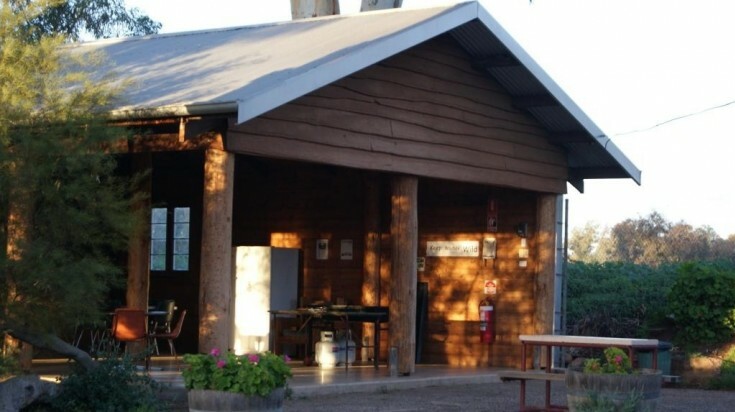 The Wilpena Pound Campground is your classical accommodation in the Flinders Ranges property. It offers 40 powered campsites capable of accommodating campervans, camper-trailers, caravans and tents, together with over 300 unpowered bush campsites. It is the only accommodation inside the Ikara Flinders Ranges National Park and is 430 kilometres north of Adelaide. Three amenities’ blocks and a pay phone round out the campground amenities. Campground guests are welcome to use the Wilpena Pound Resort pool, as well as the restaurant, bistro and bar. The campground is also located near to the general store a reliable source to replenish your groceries and petrol. 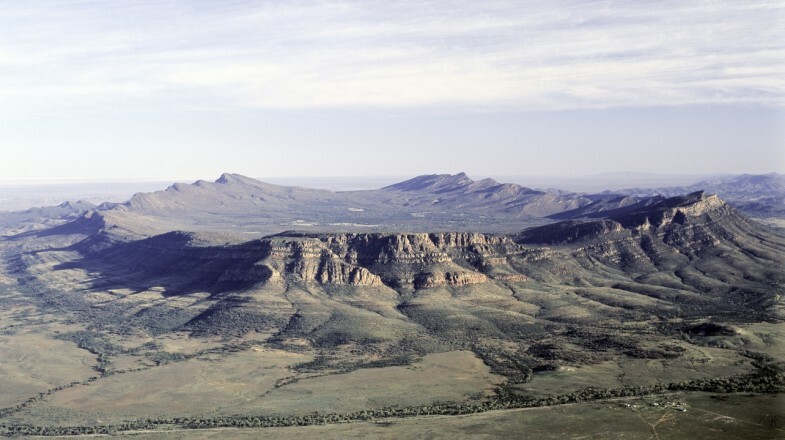 The nearby Visitor Information Centre offers local tours and scenic flights over the extraordinary 800 million years old landscape that is Wilpena Pound and the surrounding Ikara Flinders Ranges. Home to the Adnyamathanha people for thousands of years, activities on offer for tours in Flinders Ranges include bushwalking, guided Aboriginal cultural walks, 4WD tours, and spectacular scenic flights over the majestic natural landscape of Wilpena Pound and the surrounding Flinders Ranges. 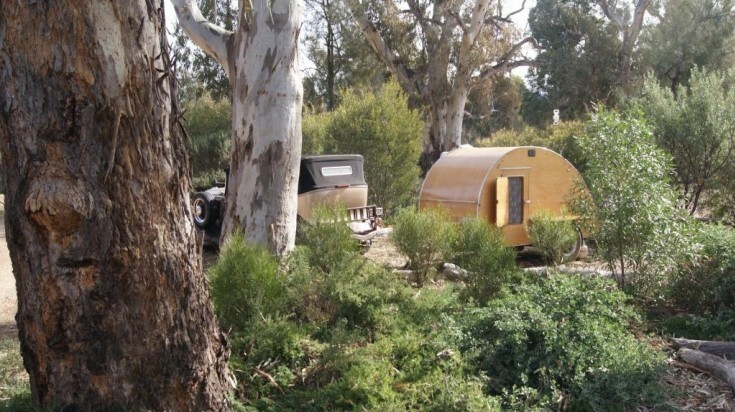 The caravans give a rustic feel to camping in Flinders Ranges. Quorn's kitchen is constructed from recycled timbers. If you are searching for a caravan park in Flinders Ranges, look no further than the Quorn Caravan Park. Offering a range of spotless cabins with en-suites, backpacker-style bunkhouses which sleep six, an Eco Tourer onsite van, tent sites, powered and unpowered sites, this passionately managed caravan park on Pinkerton Creek is committed to reducing carbon emissions, restoring native habitat and minimising the ecological footprint. Quorn is the quintessential Flinders Ranges camping experience. Their camp kitchen is constructed from recycled timbers and rainwater tanks add to the outback ambience, as does the kangaroos lazing under the magnificent red gums. The Rawnsley Park station provides a range of accommodations. The Rawnsley Park Station is spread over a working sheep station. 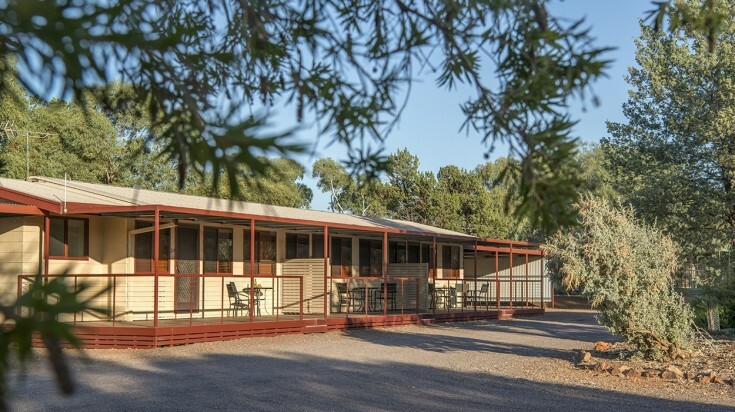 This sprawling 12,000-hectare working sheep station 35 kilometres from Hawker, on the southern fringes of Flinders Ranges National Park offers visitors a host of accommodation options. It ranges from a 1950's self-contained house to luxe eco-villas, tent sites and a caravan park with cabins and dorms. For mid-range accommodation at Rawnsley Park Station, the Holiday Units are on offer. These 3-star units are perfect for groups and families and include facilities such as fully equipped kitchens, private decks and picnic areas with free gas barbeques. The Woolshed Restaurant offers contemporary Australian cuisine, including signature dishes such as marinated kangaroo fillet, gourmet pizzas and steak. Nestled amongst the hardy local pines and plentiful wildlife in the picturesque Flinders Ranges National Park, this resort is a halcyon base to experience the wilderness of the national park. Wilpena Pound Resort features an on-site restaurant, a bar and a swimming pool. All rooms are air-conditioned and feature a private en-suite bathroom. Barbecue amenities are set amongst the native garden. Guests also enjoy use of the laundry, while a convenience store sells souvenirs, together with critical stores of essential fuel, gas bottles and water. First opened in 1876, the Prairie Hotel is legendary in these parts and one of the more upscale options amongst the accommodation in the Flinders Ranges. 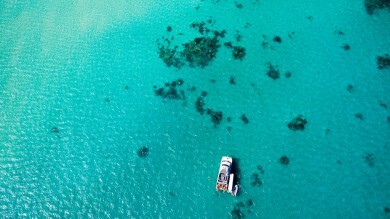 The hotel offers guests an on-site gourmet restaurant, a bar and an art gallery together with the option of unique suites or camping and basic cabins. Don’t miss its famed pub-style meals featuring a seasonal menu based on local produce and don’t leave without trying its iconic feral mixed grill comprising kangaroo fillet, emu, camel sausage and delicious bacon. Located in Parachilna, the Prairie Hotel is brilliantly positioned as a base for exploring the beautiful Flinders Ranges. Prairie Hotel is just a 40-minute drive from Leigh Creek and an hours' drive from Flinders Ranges National Park. Port Augusta is two and a half hours away by road. When you visit the Flinders Ranges, you see the real Australia. Whether you go bushwalking, enjoy a farm stay or catch a 4WD safari, there’s so much to see and do. So, budget for a few days and don’t forget to try out the native cuisine, it's a winner!